eggplant mixed with yogurt and spices, served with Afghan bread. combination of badenjan dip and hummus, served with Afghan bread. sauteed eggplant topped with yogurt and dry mint. Served with Afghan bread. Four pieces steamed dumplings filled with ground beef, herbs and onions topped with yogurt, meat sauce and sprinkled with dry mint. turnovers filled with spicy potatoes andherbs. Served with yogurt and chutney. turnovers filled with GREEN ONION, spicy potatoes, and herbs. Served with yogurt and chutney. Chopped Lettuce, Tomato, and carrots served with a side of our house dressing. 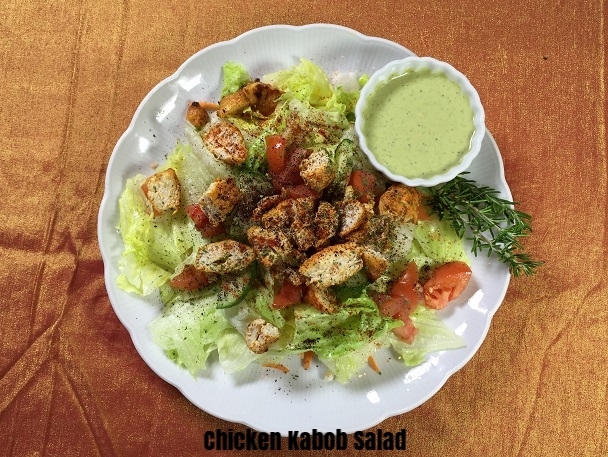 Salad topped with thinly sliced charbroiled chicken served with our house dressing and hummus. 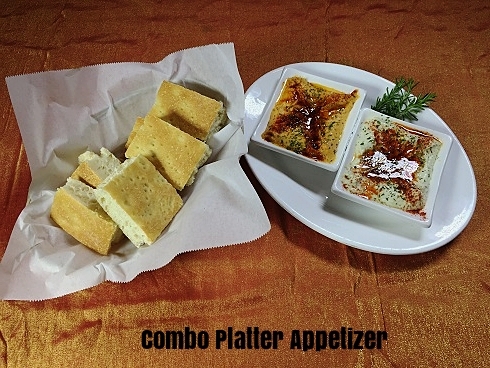 Salatta topped with thinly sliced chicken and beef kabobs served with our house dressing and hummus. tender chunks of chicken breast, marinated in herbs and fine spices, charbroiled on skewers, served with salad and white basmati rice. tender cubes of boneless tri-tip beef marinated in herbs and fine spices, charbroiled on skewers, served with salad and white basmati rice. skewer of tikkah kabob and chicken kabob, served with salad, white, and seasoned basmati rice. pieces of chicken breast in a zesty, creamy stew served with salad and white basmati rice. 6 Piece steamed dumplings filled with ground beef, herbs and onions topped with yogurt, meat sauce and sprinkled with dry mint. steamed dumplings filled with leek and cilantro, topped with yogurt and meat sauce, sprinkled with dry mint. grilled spicy ground beef mixed with green onions, herbs, and garlic served in buns with a special house sauce, and your choice of salad or fries. grilled salmon marinated with herbs and spices, served with special house sauce, salad, white and seasoned basmati rice. sauted spinach, cooked with onions, and served with seasoned white basmati rice and salad. cauliflower cooked lentils, onions, tomato sauce and spices. Served with salad and white basmati rice. steamed dumplings filled with leek and cilantro, topped with yogurt, sprinkled with dry mint. a combination of Buranee Badenjan and Sabzee. Served with white basmati rice and salad. Chunks of tender chicken in a creamy yogurt base sauce. sauteed eggplant cooked with garlic, tomatoes and herbs, topped with yogurt and dry mint. charbroiled zucchini, mushroom, onions, bell pepper, and tomatoes, marinated in a sauce. vanilla ice cream over crushed ice and rice noodles, topped with pistachios and our homemade saffron sauce. paper-thin layers of saffron sauce soaked pastry with walnuts and pistachios. a light pudding made with milk and sugar, served chilled and topped with pistachios and our home made saffron sauce. plain vanilla ice cream topped with pistachios and our home made saffron sauce. type of funnel cake dipped in a thick sugar syrup.